You are currently browsing the tag archive for the ‘Scotland’ tag. “The Beaches Of St Valery” which formed part of my PhD in English Literature from the University Of Glasgow premiere on Monday 6th of March. I am currently in negotiations to tour the play in the new year. Here are a selection of the Four Star Reviews. Mary Brennan In The Herald. Four Stars. Joyce McMillan in The Scotsman. Four Stars. The play follows the life of a young Scottish Soldier of the Queens Own Cameron Highlanders and the 51st Highland Division from 1938 to the end of the war in 1946. We see our everyman soldier go from a carefree 18 year old roads engineer to a battle-hardened veteran of 26. The photograph below shows the CO of the 51st Highland Division, Major General Victor Fortune surrendering to General Erwin Rommel at St Valery-en-Caux on the 12th of June, 1940. This event forms the central motif of the play. Three Year Honours Degrees In Performing Arts : Big Changes At UWS. In schools and colleges all over the country, students interested in the Performing Arts are thinking about what their next step should be. There have been lots of exciting developments in the performance subject area at University Of The West Of Scotland in the past year. We have formed a teaching partnership with the Gaiety Theatre in Ayr. We have brought BA (Hons)Musical Theatre in-house to our £81 million campus in Ayr. 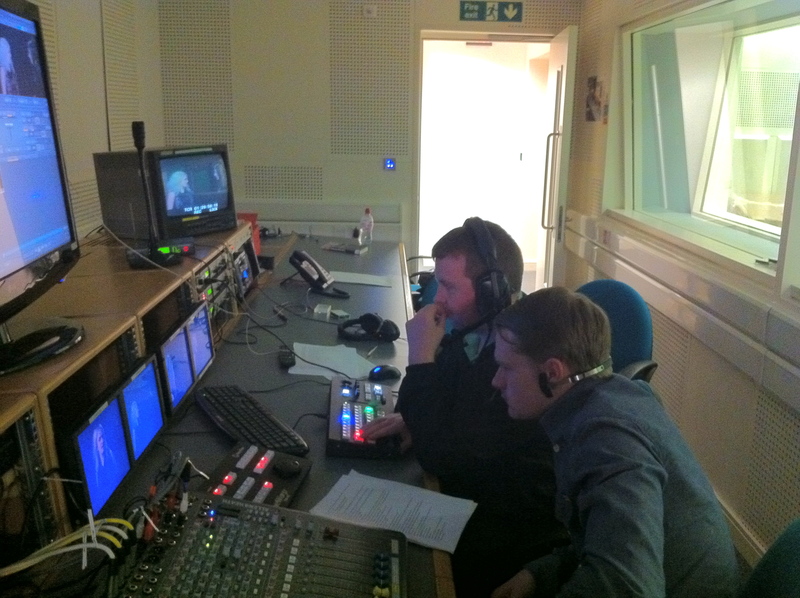 We have a brand new Technical Theatre Degree delivered through our partnership with the Gaiety . Most importantly, all our Performance-based degrees are now 3 year Honours with entry levels at second year (Level 8) as well as third year (level 9). 3 Advanced Highers BCC or plus English at Higher level and Maths at Standard Grade 3 or above, National 4 or Intermediate 2. An International Baccalaureate (IB) Diploma: 28 points. 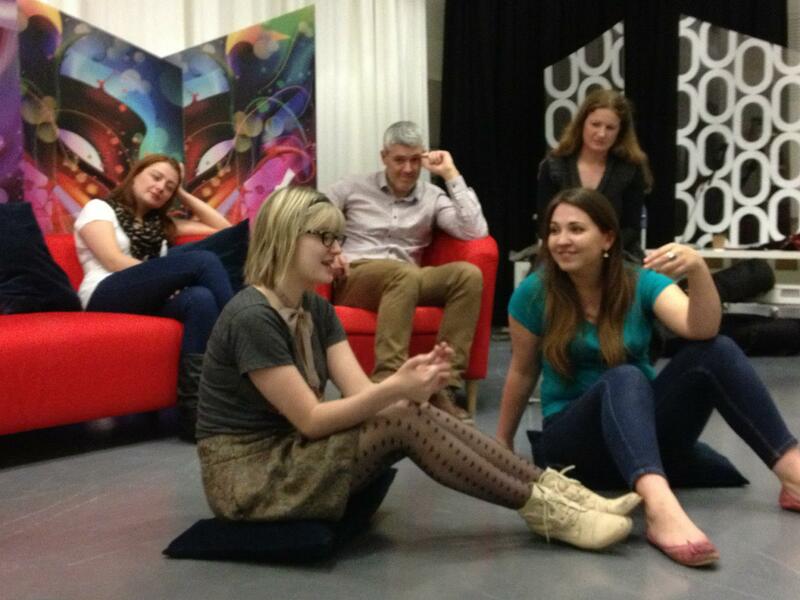 All our degrees also have a level 9 entry with an HND or equivalent to our DRAMA UK recognised degrees. With all this expansion, we want the best students to come to UWS Ayr. Every year , more and more students apply through UCAS, and the standard of work and quality of candidates is increasing. Two of our students from Edinburgh College, Emily Barr and Jennie Walker have made a short video about life at UWS. 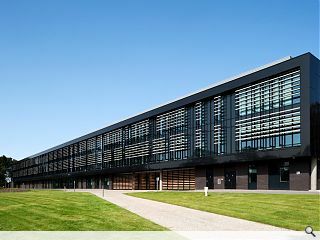 If you have any contacts at your old college or know of any British or Overseas students who might be interested in a 3 year honours degree, please share this post with them so that they can get an idea of what it’s like being a student at UWS Ayr. Also, here are the links for anyone of your friends or relatives who may be specifically interested in our 3 years honours degrees. Please feel free to share this and spread the word to your old colleges , colleagues or friends. If you think that your old college would like a visit from UWS staff to talk to students, then please let us know too. Celebrated Scottish actor David Hayman visited University of the West of Scotland’s Ayr Campus recently to take part in the UWS collaborative creative industries project, StudioLab. StudioLab is an ongoing project where students from all the University’s programmes related to the Creative Industries collaborate together to create recorded work and closely replicates the work of the professional Creative Industries, where teams of different disciplines get together to create a final product. 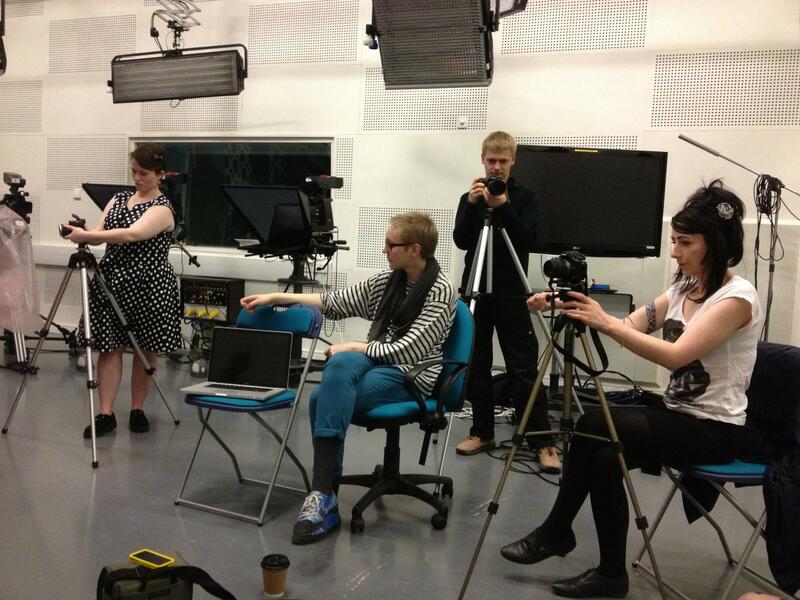 Hayman was at the University’s state-of-the-art recording studios at its Ayr Campus on 11 March to record a live Q&A session with third year Contemporary Screen Acting and Performance students . 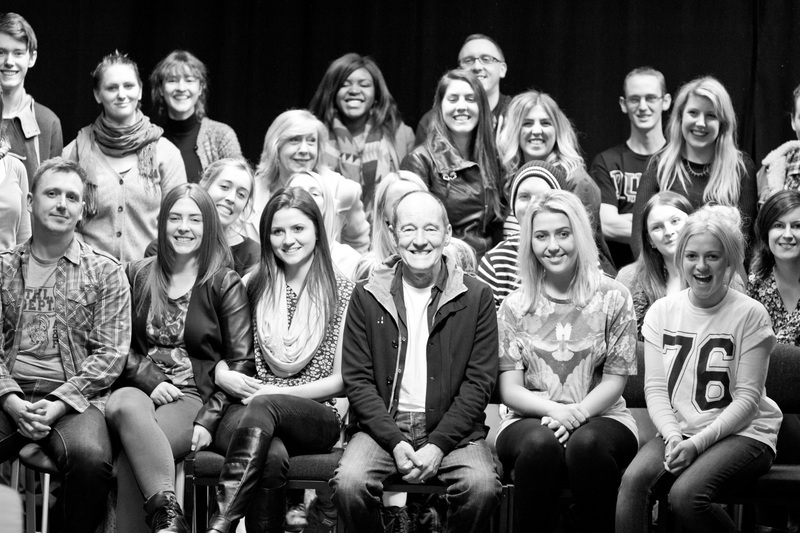 David Hayman, the founder of SpiritAid urged acting students to “follow their dreams” when he visited the Campus. He enthralled the audience for over an hour telling them of his humble beginnings in the business, right up to recent work with Oscar Winners Michael Fassbender and Marilyn Cotillard. The Photo above was taken by UWS Student Oliver Karaschewski . It was an inspirational experience for students and staff which we recorded and will publish on our School Vimeo site. Visits like these are an invaluable part of the process of the students gaining the skills, confidence and insights to enter the professional arena and we are planning more of these for the future. Watch this space for details. Are Women Playing A Full Role In Scottish Theatre? 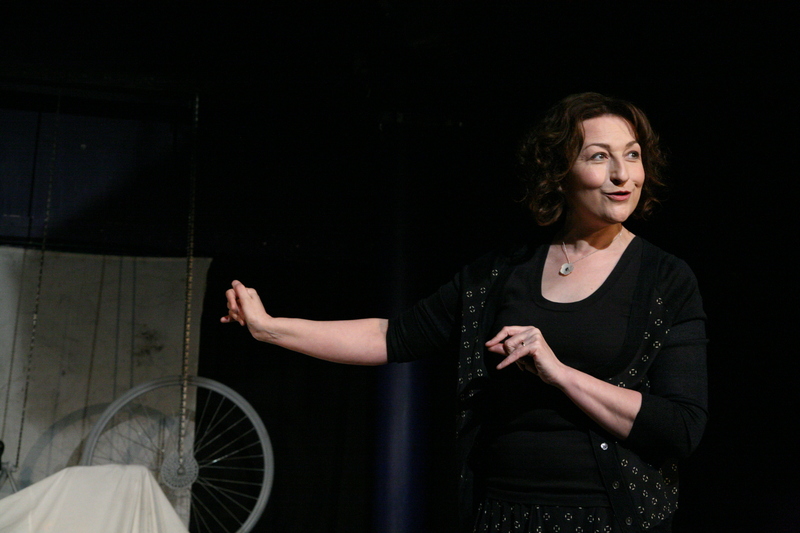 Are women playing a full role in Theatre in Scotland? A quick look around suggests ‘no’. On the one hand, all theatres profess to have an ‘equal opportunities policy’ on the other hand, the Review of Theatre in Scotland last year showed that fewer than half actually monitored that policy. Recent research by Equity shows that opportunities for female actors are shrinking. Does this matter? After all we can see women everywhere in theatre, in marketing, management, front of house and other roles. Are women just not interested in running theatres or taking a lead creative role? What affect does this have on the work and on what audiences see? How does this differ from the situation elsewhere in the UK and Europe? Come and debate and discuss at Traverse 2 – 26th September 6pm -7.30pm with a glass of wine in the bar afterwards. 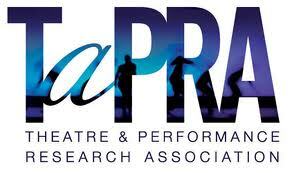 Thanks to the Traverse Theatre for their support. Following the huge success of the WFTV Writers’ Group in London, they’re delighted to announce the first Writers’ Group meeting for their members in Scotland. Join Raisah Ahmed and Lynsey Murdoch and talk with fellow-members and writers. Guest speaker Eleanor Yule. For a limited period of time, this group is also open to non-members. Only writers though, please! This first meeting is free to all, and is women-only. It’s for anyone interested in writing professionally for the film and TV industry. Eleanor Yule is the first speaker, and we will bring in script editors, producers, actors and designers to enable the group work with indsutry professionals.